The JUNIOR CHALLENGE is an event of the Tri-Team Heuchelberg e. V., integrated into the hep CHALLENGE HEILBRONN powered by Audi. The start of this youth aquathlon is female and male mixed. The competition is also offered for handicapped children. For participating school classes, there is a separate classification. Event date is Saturday, 18th of May 2019. 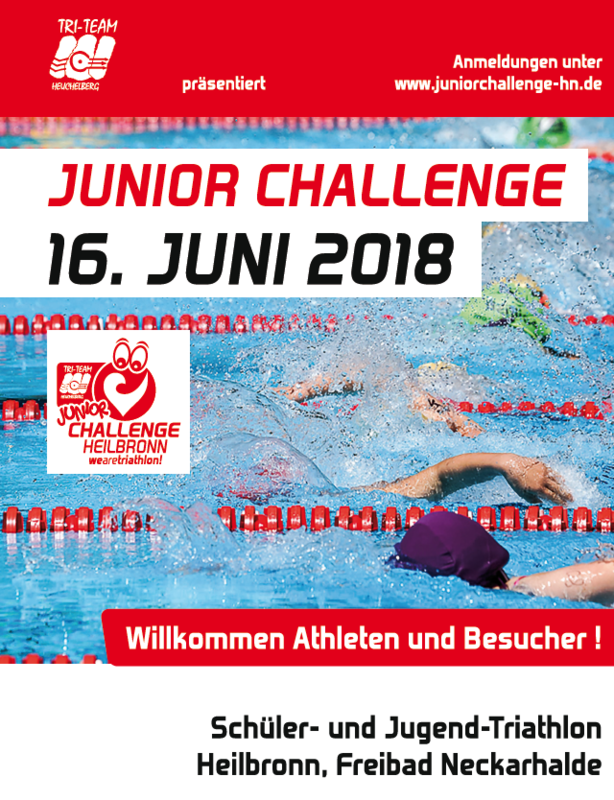 All information and registration are available right in time at www.juniorchallenge-hn.de!